Due to the hustle and bustle of modern life, more and more people experience anxiety and panic attacks. The symptoms of anxiety are shallow breathing, nervousness, rapid heart rate, panic, insomnia, weakness, performing certain behaviors over and over again and so on. How can we relieve stress and anxiety? Anxiety is often caused by unhealthy breathing habits, so in order to beat anxiety, you should change the way you breathe and learn the ways to relax your mind. 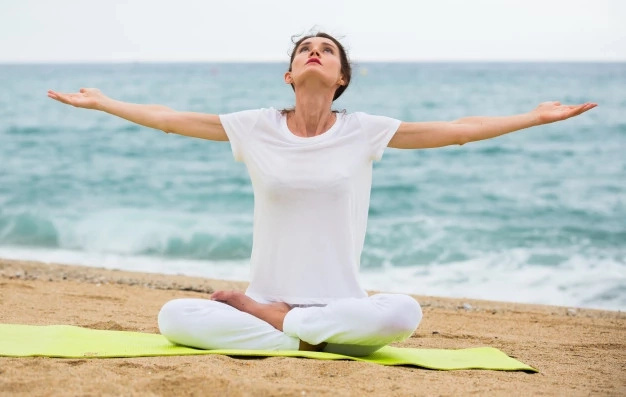 In this article, we would like to show you several breathing exercises, which can help you relax your mind, find a balance and eliminate anxiety. If you will practice them regularly, you will learn how to control your anxiety levels to lead a normal life. Are you interested? Scroll down to read more about these breathing techniques. When you experience anxiety, you feel the lack of oxygen in the air. In order to relax and restore your breathing, you should put your hands over your mouth and start breathing slowly. You may also use a paper bag. Hold it over your face and continue to do this exercise for several minutes. Sit in a chair and straighten your back. Take calm, deep breaths for five seconds in order to relax your body. Hold your breath for three seconds, and breathe out through your mouth for seven seconds. Do it again ten times. When you control your breathing, you give your body time to deal with stressful situation. This breathing method can be difficult at first. It requires some practice, but if you will perform it regularly, you will get used to it and get amazing results. The first step: Inhale, count five heart contractions. The second step: Hold your breath, count seven heart contractions. The third step: Exhale, count nine heart contractions. Don't try this exercise, if you experience heart diseases. Consult with your doctor first.